As many different potential web based threats and risks continue to increase, a web application firewall is now being utilized to ensure all attacks are prevented at the gateway level. This allows for your organizational applications to be protected from both common attacks and complicated threats before they even enter your network. In addition, a web application firewall will fully protect desktop, laptops, applications and other electronic devices from being exposed to potential threats and network dangers. Because more than 70% of all network attacks are performed through different web applications, organizations need all of the protection available to ensure that its network is continually protected. A web application firewall is implemented because it provides an important layer of security that allows for increased protection, threat detection and stops virtually all threats before they reach your network. 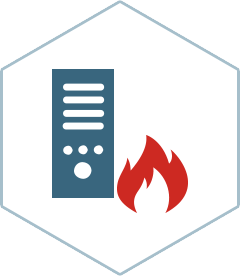 In order to ensure that your network is continually protected at all times, our web application firewall will interrupt server traffic by utilizing a converse proxy with multiple search engines and network assault pattern identifiers. By incorporating innovative hacker prevention technologies, Nebero Systems will maintain full network protection against different web servers that try to hack into and tamper with your network. Adding to our industry leading web application firewall system, we are able to safeguard web applications from more than 350 common assault patterns. Nebero Systems will effectively prevent attacks from happening like harmful uploading, SQL injection and inter-site scripting utilizing region specific accessibility rules that only permit web traffic from certain countries or designated IP addresses to access web applications, we make sure that your system is always protected by securing your network from automated BOT attacks and intrusion attempts. In addition, designated time based access can also be created to prevent network access during non-operational office hours. Nebero Systems team of engineers work untiringly and continually to prevent networks from threats as per the latest list of OWASP (Open Web Application Security Project).